We are getting a jump start on the Halloween season - I just can't help myself! This is the first year where Parker can actually understand what's going to happen, and I love it! I love a striped jam, but I also can't wait to put Parker in these ones that are on their way! 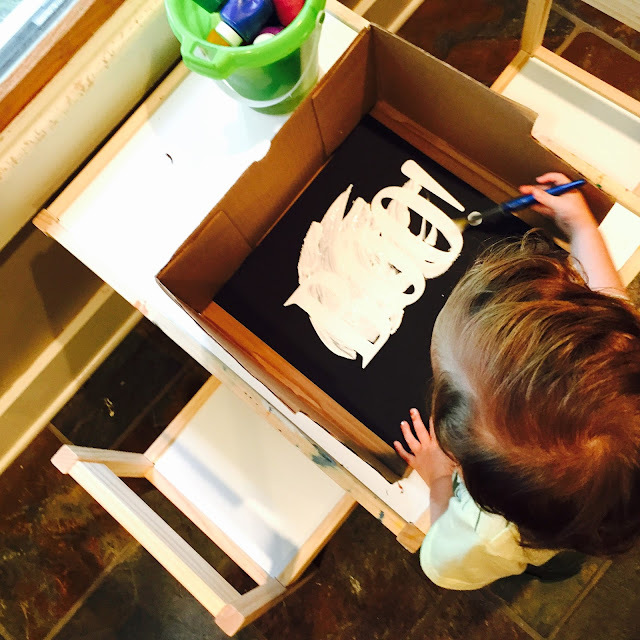 Letter-Resist Art is perfect for a young toddler. It's a fun activity that also ends with a pretty result, and (bonus!) it offers a learning opportunity for letter recognition. We've done single letters in the past, done with masking tape. 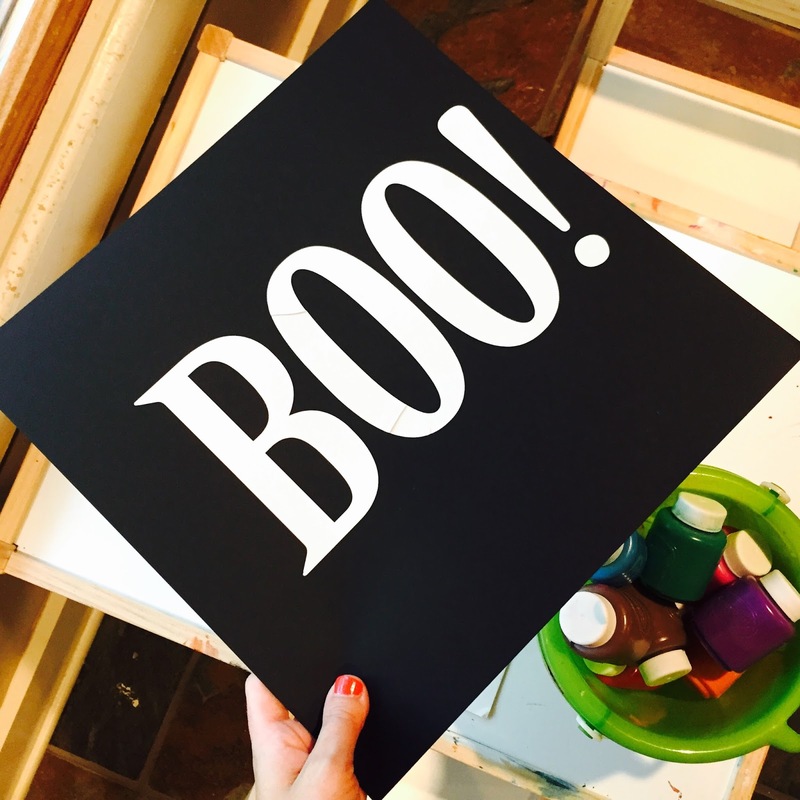 Then husby suggested I cut out the letters on temporary adhesive vinyl with my Silhouette Cameo. Hello, game changer! So. Much. Easier. When doing this, it's important that the adhesive not be too sticky because you don't want to pull any of the paper up when it's time for the letters to come off. So before putting them on the paper, I stick them on my hand or a piece of cloth a few times to reduce the stickiness. Then, on the paper they go. Once the paint is dry, just peel off the letters. 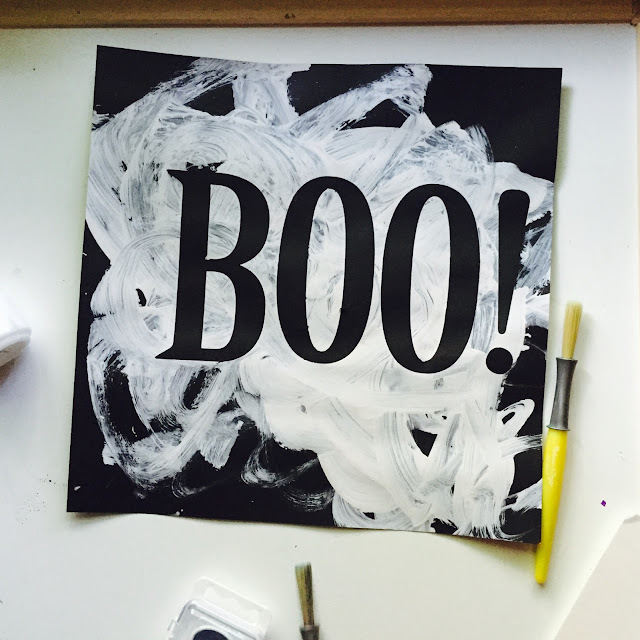 Enjoy your spooky message! Little man loves to help out in the kitchen. 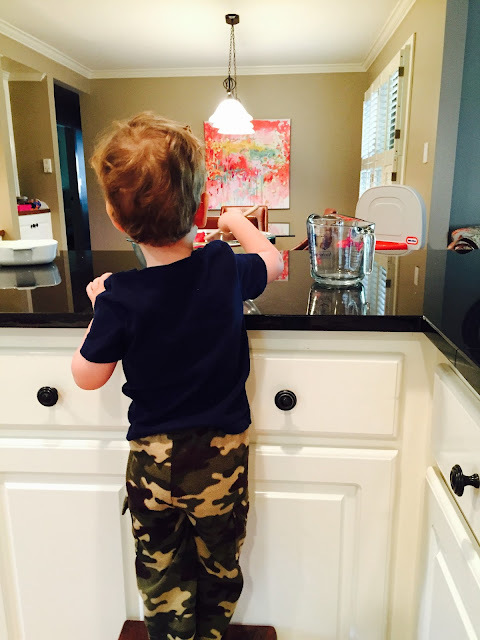 Measuring, pouring, stirring - he can't get enough! Plus, these are awesome learning opportunities (counting, how to follow directions, patience, and so much more!). 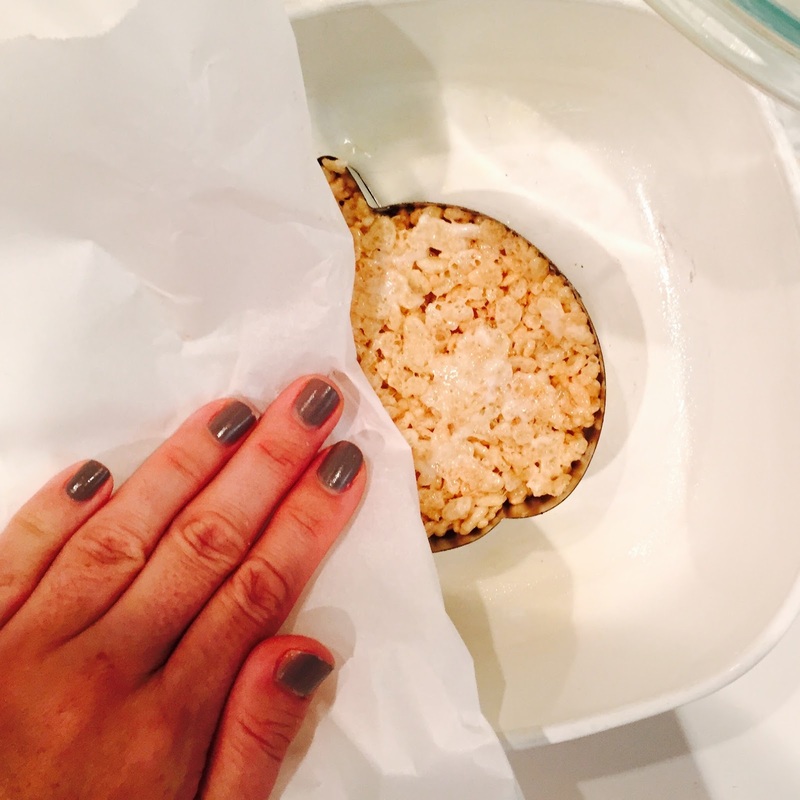 I hadn't made Rice Krispy Treats in years, but it was so easy! We just followed the directions on the box: We melted 3 tablespoons of butter with 4 cups of mini marshmallows, then stirred the mixture into a big bowl with 6 cups of Rice Krispies cereal. We put some into a pan, and some we pressed into pumpkin shaped cookie cutters. We had some orange sprinkles on hand, and chocolate jimmies, which were perfect for decorating the pumpkins! I helped with the stem on this one, but the rest of the decorating was all Parker! He had a blast! I don't know why I haven't made Rice Krispy Treats in so long - they are deliciously addicting! We could not stop eating them. 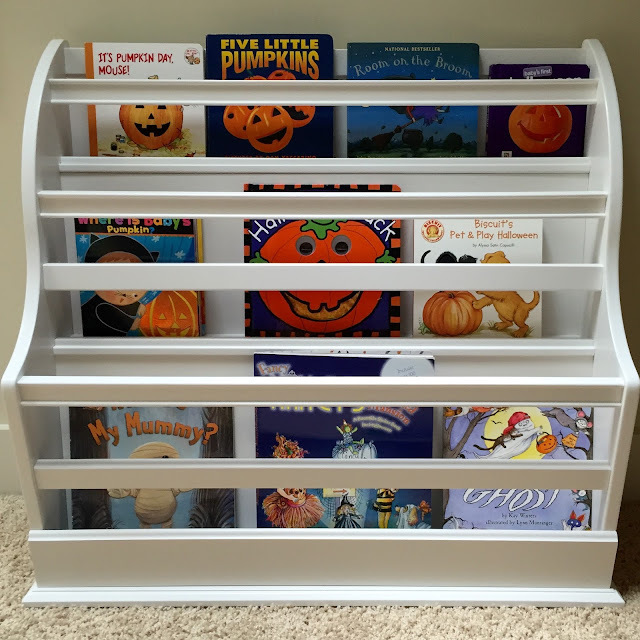 I love to switch out Parker's bookcase for the holidays with seasonal stories. We both get so excited! His two current favorites are Five Little Pumpkins and Room on the Broom. 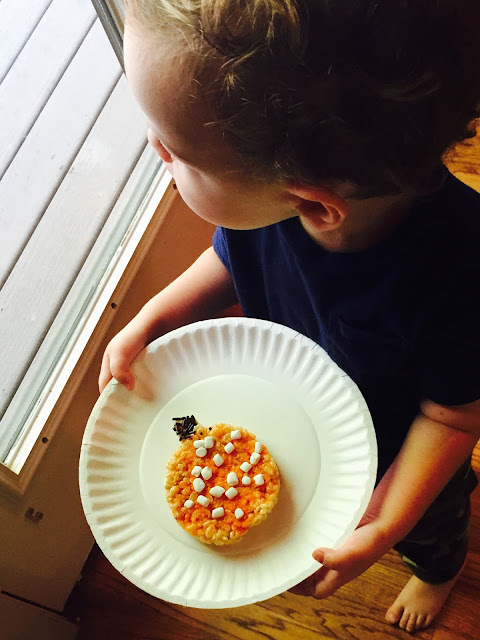 Five Little Pumpkins was actually a hit the last two Halloween seasons, as well. It's a short book written in catchy rhyme, and I actually incorporated the poem into my curriculum when teaching kinder and first grade so I know it will be a winner in the upcoming years as well. I thought Room on the Broom would still be a little advanced for Parker this year, but he just can't get enough of it and looooves to say the title (he's also a bit obsessed with the dragon in it). We are totally getting into the Halloween spirit! Are you getting a jump start on Halloween this year, too?? Loving the jammies! Also the Rice Krispie treats are so cute. 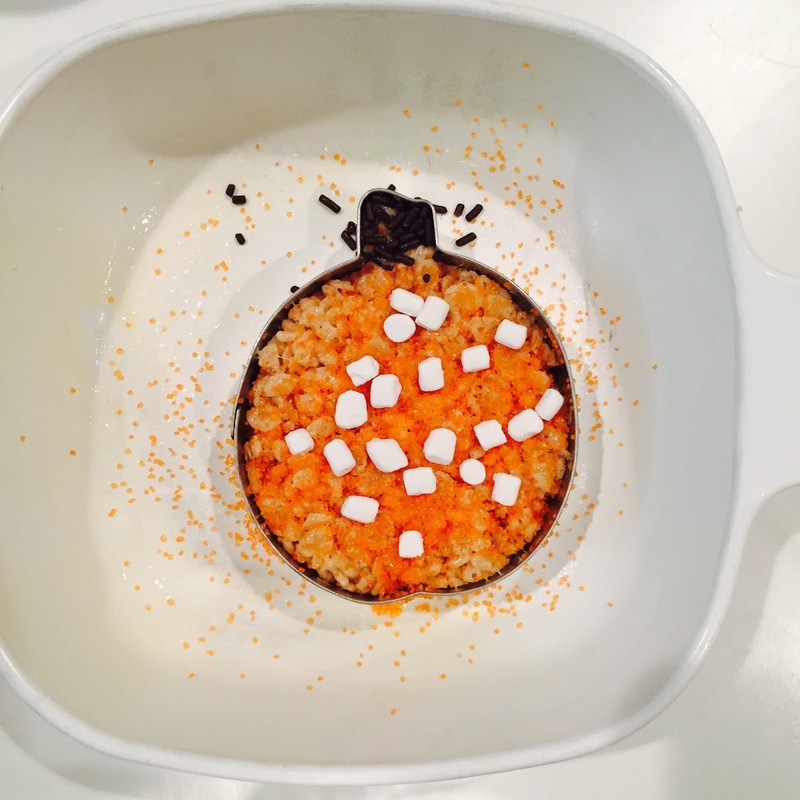 I found a Pumpkin Spice Rice Krispie recipe...so the pumpkin shaped would be perfect! 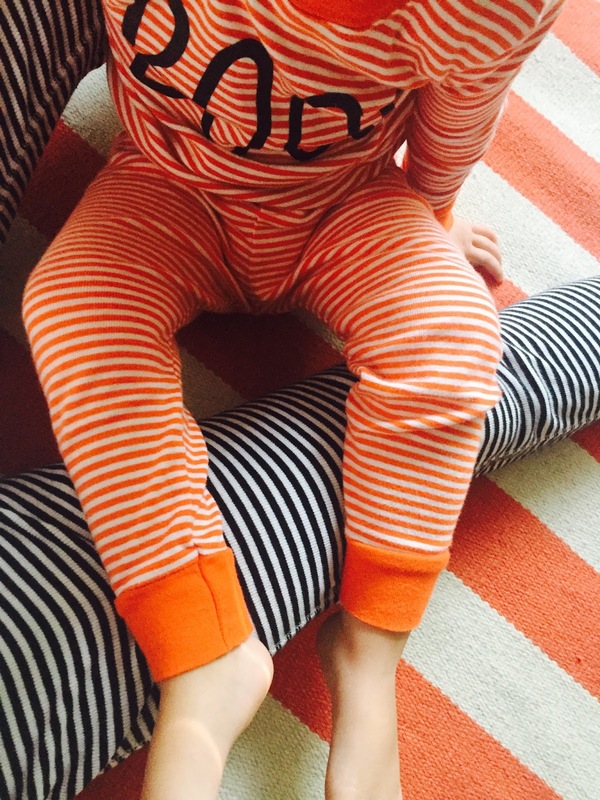 I'm a big fan of festive jammies - love the ones you got Parker! 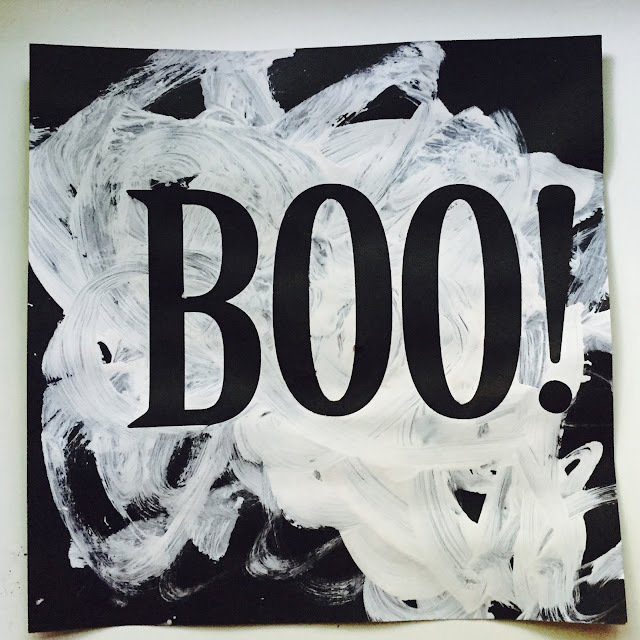 The Boo art is just fantastic - love it!!! And Rice Krispie treats - if only I could make those cute little pumpkins. I can handle most anything when it comes to cooking - except pancakes, bacon, and Rice Krispie treats. Ends in disaster every time. 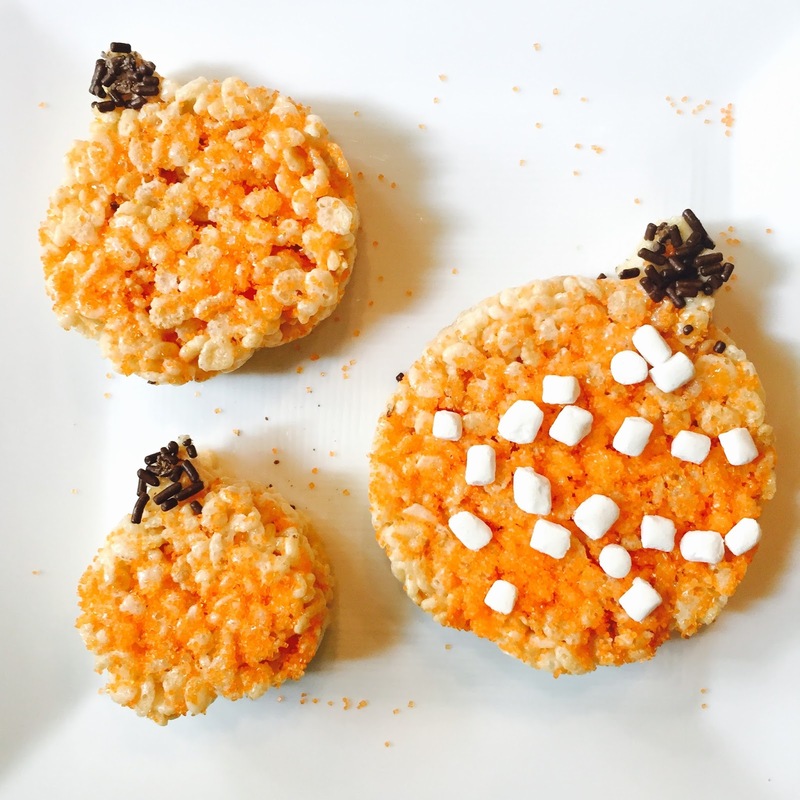 Pumpkin shaped Rice Krispie treats?! Yes please! How adorable! wow you look a lot like me!!! I love the season festivities!! Here In Venezuela we don't celebrate Halloween as you do, I mean it's not even a holiday here!